With the tips of his water skis bobbing just above the water, the camper white-knuckled the rope-handle with one hand and gave the thumbs-up with the other. The counselor watched from the stern of the boat as the motor revved to life, pulling the rope from slack to tight and lifting the camper up on top of his skis for his first glide across the lake in Keystone Heights, Florida. It was in this moment that the counselor realized what he wanted to do with his life: help people do the things they thought they couldn’t. 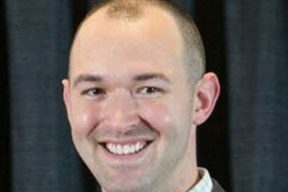 That’s why Dr. Jon Edenfield ’15, ’00, a Transitional Doctor of Occupational Therapy (tOTD) and Master of Occupational Therapy (MOT) graduate, pursued a career in occupational therapy— and opened Great Strides, a one-stop shop in Jacksonville for children and young adults with autism and other special needs. It started in 2006 as a one-room occupational therapy business, but Edenfield quickly realized that wasn’t enough. He could see that caregiv­ers were struggling—struggling to meet their children’s needs, struggling to make it from one appointment to another, struggling to travel from office to office, sometimes across town, sometimes out of state. “I saw parents driving all over to get what they needed and I thought there had to be a better way to do this,” Edenfield says. So he gradually added more services and expanded Great Strides into more space. 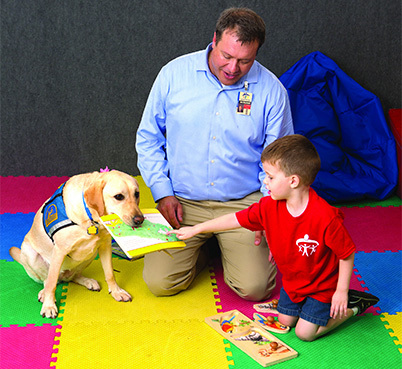 Now the business spans 10,000 square feet and has 65 employees offering occupational, physical, speech, applied behavior, psychological, and animal-assisted therapy. The facility has a school for children with special needs and three daycares for medically fragile children. There’s even a licensed hair salon, because getting a haircut in a typical barbershop can be a trying experience for an autistic child. 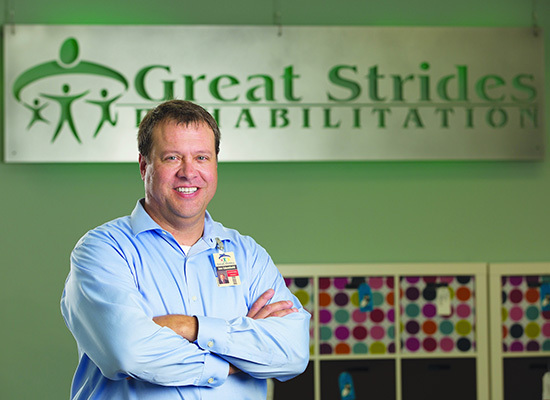 “My dream was to have a comprehensive re­habilitation center for children—all under one roof. When I see a need, I think creatively about how to meet it,” he says. It’s been important to him ever since, as a child, he saw his father make a difference in people’s lives as a psychiatrist and his mother as a guidance counselor. This sense of wanting to help was solidified during high school, when Edenfield shadowed therapists in the rehabilitation department and burn unit of a local hospital. 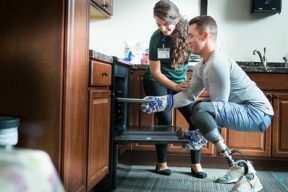 In college at the University of Florida, Eden­field studied rehabilitation counseling, and during an independent study helped develop a piece of equipment that would allow single-arm amputees to water ski. After graduating, he heard about the University of St. Augustine for Health Sciences, which was just establishing itself in Florida. One of the first things Edenfield was asked to do in the program was write an essay about what quality of life meant to him. When he finished his MOT, he worked at a regional children’s hospital for about four years, then opened a hippotherapy program with his wife. They named it Great Strides, after the strides a horse takes and the progress that children make when they participate in equine therapy. Then his wife suffered a back injury, which left her unable to help with the horses. So they shifted gears and turned Great Strides into a more traditional occupational therapy business for children. He remembers one early case, with a patient who wanted to get a job but was autistic and hadn’t learned the social skills necessary to transition from school into the workforce. Edenfield and his staff worked with the patient to learn how to interview. Another patient, after an incident when he choked on a French fry, refused to eat any­thing but yogurt—eating nine a day. Edenfield started with oral motor therapy, asking the 6 year old to blow pingpong balls off a table, and then progressed to desensitization paired with behavioral intervention (a rewards chart), to move him from eating yogurt with sprinkles to bread, crackers, and ultimately French fries. With treatment, the child was able to return to eating a healthier, well-rounded diet. 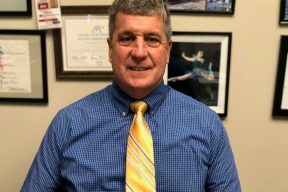 Edenfield still wants to do even more for this population, so he’s in the process of purchasing two more office spaces to expand Great Strides’ preschool for children with special needs. Look­ing ahead, he’d like to expand the business to other locations.